Where backhoes and bulldozers now rumble, soldiers once slept, ate, marched — maybe even did a little bowling. The 50-acre military base that gave Fort Myers its name held almost 60 buildings during its mid-1800s lifetime, and about five of those acres will become Lee County’s newest library. But what happened on that spot, which period maps show held officers’ quarters, barracks, privies and an arsenal, may never be fully known or understood. Neither city nor county hired an archaeologist to research the site before construction started, and now that it has, pausing would be pricy. At a Monday night emergency meeting of the Lee Trust for Historic Preservation, members tried to figure out how to cut the losses to area history — and how to prevent them in the future…. It’s no secret that much of downtown was once covered by the fort, used by the U.S. Army during the Seminole and Civil Wars, but the idea of doing any archaeological reconnaissance was skipped over during the new library’s planning and permitting process. 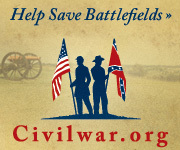 The article goes on to detail the site’s Civil War related activity. The fort housed the 2nd US Colored Troops. The regiment was recruited in the Washington, D.C. area, then were assigned to duty in Florida. Maybe alluding to some competition with big box retail stores was not where Mrs. Sebistion wanted to go.